Indian Institute of Foreign Trade (IIFT) is a business management institute in New Delhi, which was set up by the Government of India in the year 1963. The Institute has designed a wide range of Post Graduate Management courses that bridges the gap for the needs of qualified professionals in the Corporate Sector, Entrepreneurs, Public Sector Enterprises, Organizations in Small and Medium Enterprises, Association of Industries, Ministries & Departments of the Government. MBA in International Business Full time- 2 years. MBA in International Business part time- 3 years. Executive Post Graduate Diploma in International Business (EPGDIB). Executive Post Graduate Diploma in Industrial Marketing (EPGDIM). Executive Post Graduate Diploma in Capital and Financial Markets (EPGDCFM). * Recognized Bachelor’s degree of minimum 3 years duration in any discipline. Candidate appearing in the final year examination of Graduation can also apply subject to submission of proof of requisite qualification by 7th October 2013. Selection will be on the basis of Written Test, Group Discussion, Essay Writing and Interview. Written Test will be held on SUNDAY 25th November 2012 during 10.00 a.m – 12.00 noon at Ahmedabad, Allahabad, Bangalore, Bhubeneshwar, Chandigarh, Chennai, Coimbatore, Dehradun, Delhi, Guwahati, Hydrabad, Indore, Jaipur, Jamshedpur, Kochi, Kolkata, Lucknow, Mumbai, Nagpur and Visakhapatnam. Based on the marks of Written Test, a limited number of candidates will be invited for second phase of selection process comprising Group Discussion, Essay Writing and Interview to be held at Bangalore, Chennai, Delhi, Hyderabad, Kolkata, Lucknow and Mumbai. IIFT reserves the right to add/delete any centre, if required. 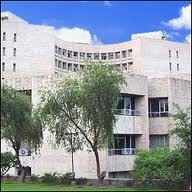 Indian Institute of Foreign Trade (IIFT) has two branches i.e. New Delhi and Kolkata. In New Delhi, it is located in the Qutab Institutional Area in close vicinity of Jawaharlal Nehru University and the Indian Institute of Technology. The Kolkata center is situated amidst the posh surrounding area of Salt Lake City. The facilities available on campus include centrally air-conditioned lecture halls with modern audio-visual aids, conference halls for round-table conferences, an auditorium of 500 seating capacity, MDP Centre, three Computer Centers, indoor games, and excellent residential facilities for students.